Manuel Neuer is one of the best goalkeepers in the world. 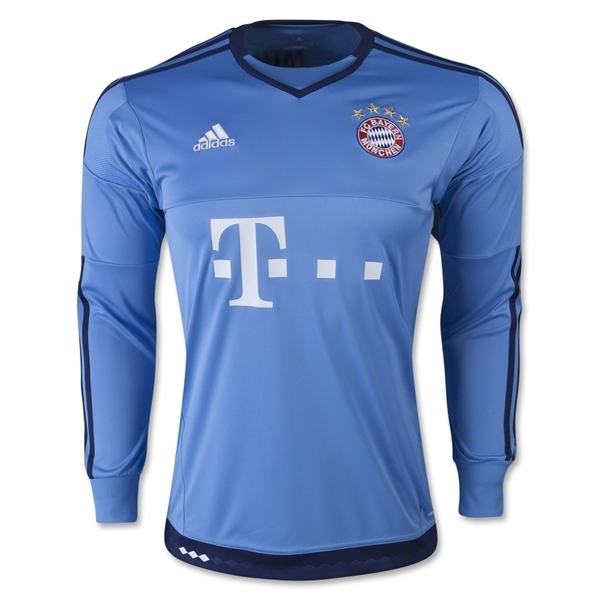 This is the jersey he will wear as he roams the field at the Allianz Arena. ClimaCool jersey features embroidered team and adidas logos and a sponsor logo on the front. Team name is screened across the back. Extended hemline has FCB in small print. Climacool fabric.